1 Bed 1 Bath 640 Sq. ft. Enjoy small town living in the desired location of Celebration! 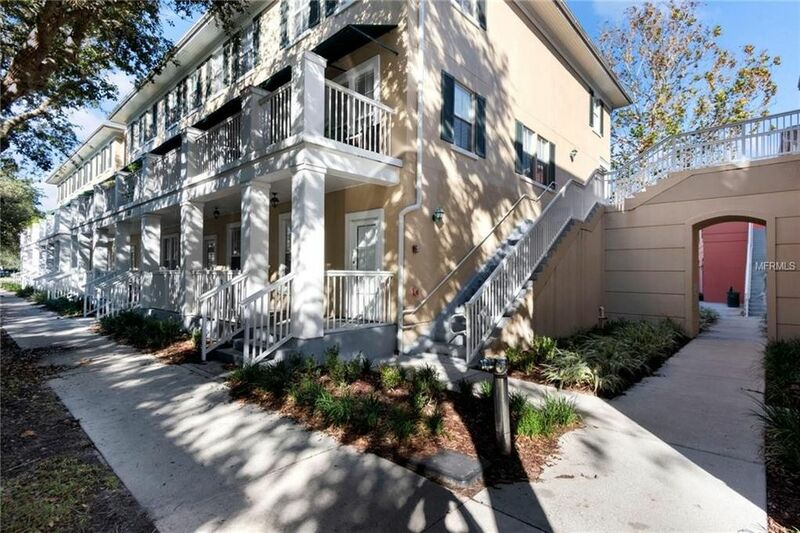 You will not want to miss this beautiful one bedroom, one bath, ground floor condominium. This adorable property offers a front and back porch as well as a private fenced back patio. Talk about charming! The living room opens to the kitchen offering a great place to entertain. You will appreciate the new wood laminate floors, tile in wet areas and plantation shutters. This beauty is in excellent condition! Imagine spending the cold winter months in sunny Florida. Take a walk to all of the shops at Celebration! Also, Lake Rianhard is just steps away for a stroll or simply relax in one of the rockers by the lakeside. Community offers heated pool, playground, basketball, and tennis courts. Life should be a Celebration! Directions: US192 East to Celebration Ave, Right at Water tower, Left on Campus St. follow around to Bohemian Celebration Hotel, property located across from the Hotel. 1 beds 1 Bath 640 Sq. ft.